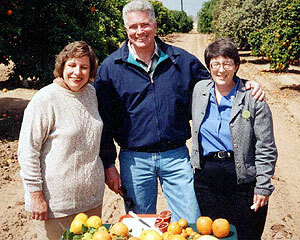 With shrinking state financial support, the Citrus Variety Collection is in need of a permanent source of funding. A Citrus Genetic Resources Assessment Task Force, composed of industry and university experts, evaluated the current status of the collection and recommended the establishment of an endowment fund to ensure the vital future of the Citrus Variety Collection at UCR. You may also complete an online gift form to give with a credit card. "Designate to a specific fund". fund", scroll down and select the "Citrus Variety Collection Endowed Fund". 3. Fill in the remaining boxes with your information.